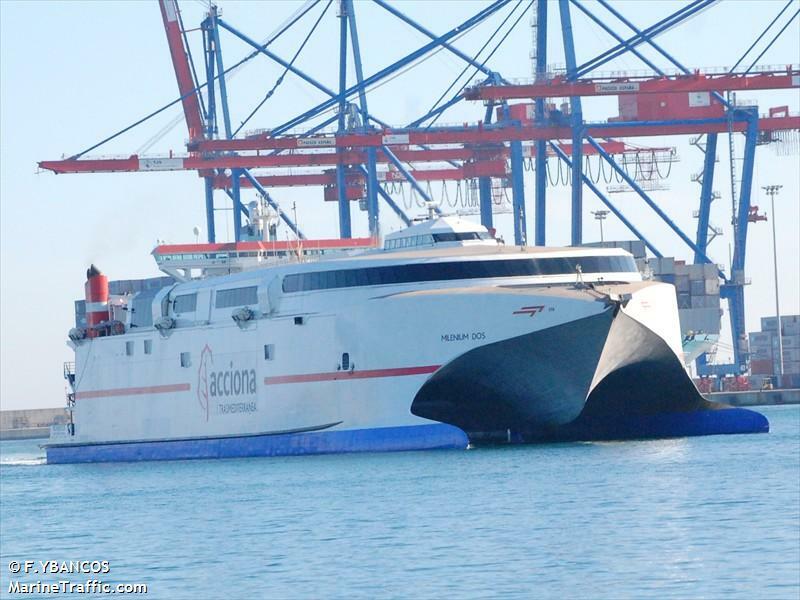 The 189 meter long, 48193 dwt freighter New Glory collided with the 97 meter long, 758 dwt ro-ro ferry Milenium Dos near Ceuta, Spain. The New Glory struck the starboard side of the Milenium Dos who was proceeding north with 174 passengers and 18 crew. 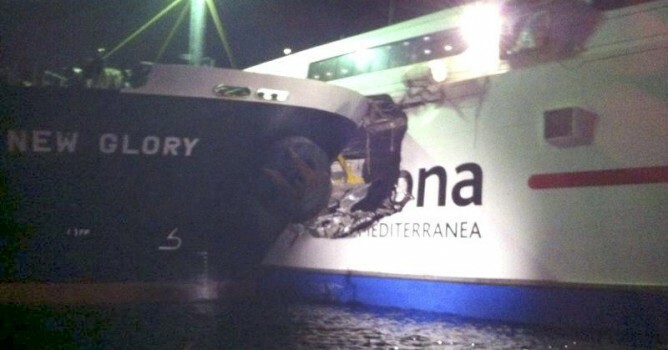 The collision left a large hole in the ferry’s hull above the waterline. 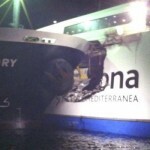 One of the Milenium Dos fuel tanks was damaged and some fuel was released into the water. 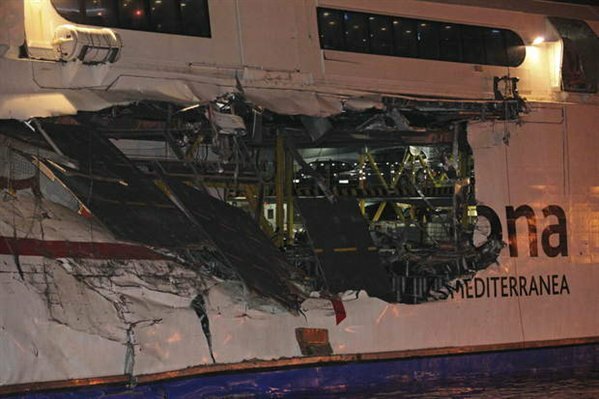 Two passengers and one crewman were injured and were taken to hospital. The two vessels remained locked together as authorities dispatched rescue craft and tugs to the scene. 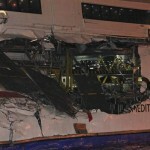 The two vessel remained together for several hours until they could be pulled apart. 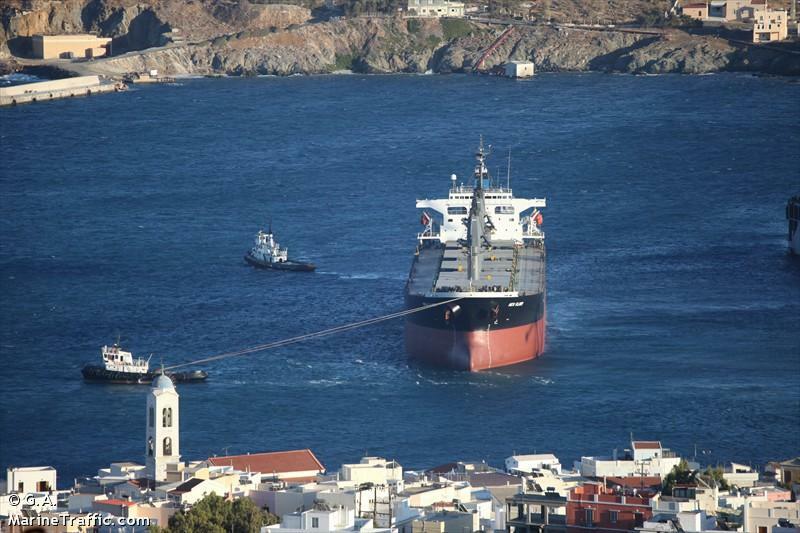 The Milenium Dos was taken under tow by the tugs and proceeded to Ceuta. The New Glory proceeeded to an anchorage. No reports of injuries on the freighter. Authorities are conducting an investigation into the incident. 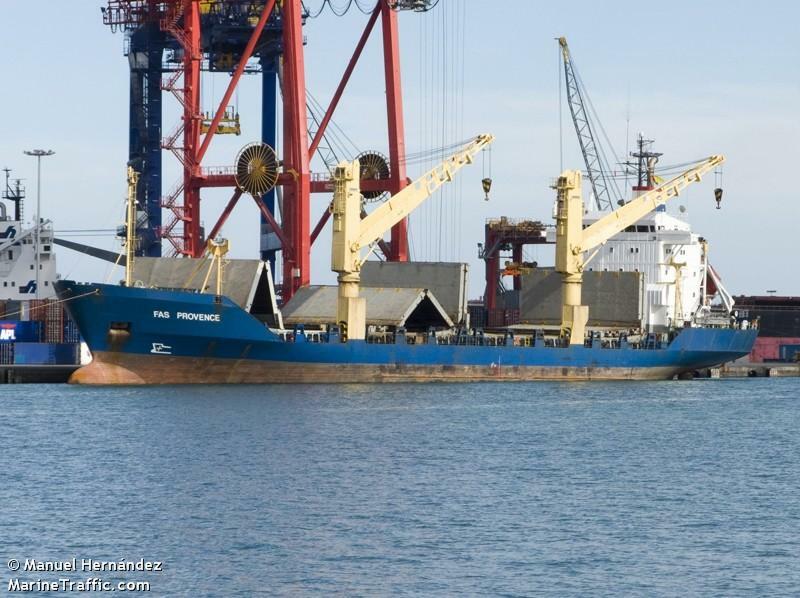 The 130 meter long, 8049 dwt freighter Fas Provence sank some 80 miles off Delimara Point, Malta. 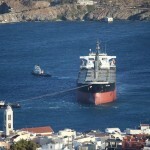 The Fas Provence was being towed by two tugs when it encountered gale force winds. The bad weather forced the freighter to list and taking in water. The freighter listed over until it sank. No cargo or crew was on board at time of the incident. Authorities were alerted and aircraft have flown over the area looking for any potential pollution being released. 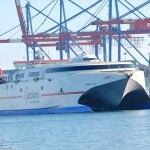 The Fas Provence rests under 300 meters of water making any salvage unlikely. No details if any fuel oil, diesel or other pollutants were on board the freighter at the time it sank. 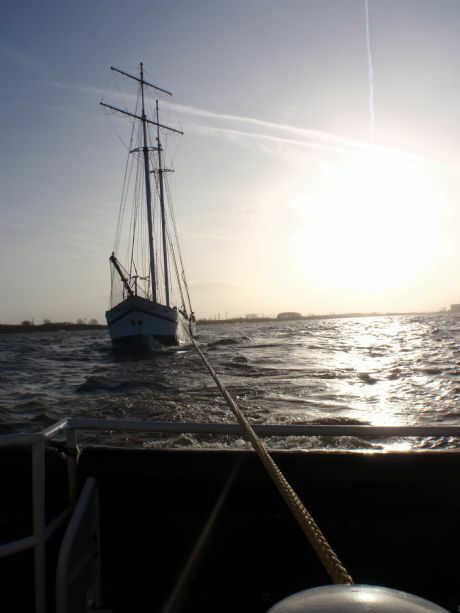 The 40 meter long schooner Flying Dutchman became disabled while sailing in the IJsselmeer. The schooner’s engine had failed and the vessel requested assistance from the KNRM. The KNRM lifeboat was able to reach the scene and kept the schooner from going aground while waiting for a tug. The tug took the Flying Dutchman under tow and proceeded to Urk, Netherlands. The vessel was inspected and no reports of damage. No injuries or pollution being released.